The World Series of Fighting returns on Saturday for WSOF 27, which airs live on NBCSN from The Theater at FedExForum in Memphis, Tenn. The card is headlined by Teddy Holder, the No. 2-ranked light heavyweight in the WSOF, and undefeated Russian young gun Shamil Gamzatov. The co-main event is the highly anticipated Decagon debut of Caros Fodor, who takes on The Ultimate Fighter alum and Blackzilian member Luiz Firmino. Gotta be honest, I’ve heard some not very nice things said about this card. People are selling the event too short, though. The main card is full of interesting fights. A lot of the negativity is probably coming from a lack of knowledge about the fighters. So instead of getting mad, let’s just educate everybody. 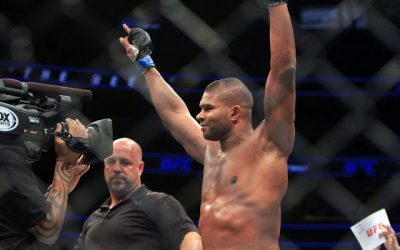 An old saying in the sports world is that the “tape don’t lie.” In researching fighters and fights, particularly obscure ones, there are a lot of things that build a narrative. Is the fighter a finisher and, if so, how does he finish? This is a metric by which you can figure out who you’re dealing with. But then there’s always the tape. Shamil Gamzatov looks about split on his penchant for finishing fights. Half the time, the undefeated Russian is knocking guys out. The other half, he’s submitting them. Gamzatov actually has one more submission than knockout on his unblemished record. But then there’s the tape. Gamzatov is a banger. The submissions come from being opportunistic. When Gamzatov fought Vladimir Mischenko, he headhunted for the bulk of the fight and then found a guillotine late. Make no mistake, though, Gamzatov is not looking for submissions. He’s looking to drop guys. However, he will take submissions when they are there. This brings us to Teddy Holder. Holder is the highest ranked and most highly visible fighter on the card, with all due respect to Caros Fodor. There’s an old fighting axiom that says “when you beat a man, you assume his legacy.” That’s just what Holder has done. 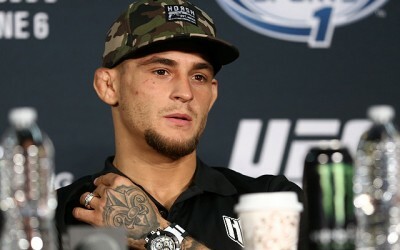 The credibility he gained in this sport from beating Thiago Silva can’t be overstated. He’s turned out the lights on a lot of guys, but the Silva victory is the career definer. So, who is Holder? Is he the man who knocked out Silva in one round or the man who tapped to David Branch in one round? Well, he’s both. This is an important thing to remember as the fight with Gamzatov progresses. Holder needs to be wary of the ground. Simply put, that’s where he can be had. He has two losses, and in both he was tapping. Holder has to bet on his chin. The good news is that while Holder is susceptible to counters — Silva cracked him with a right counter on a right hand of his own because he let his left hand fall — he has pretty good MMA head movement and keeps a solid base. Holder can sit down in the pocket and drop bombs, but he also has real power that may benefit him in the scrambles. Holder is the pick in the fight so long as he has his “eyes wide open” in the scrambles. 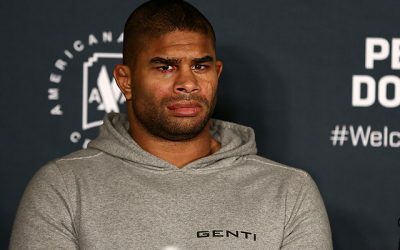 While it may have led to a knockout of Silva, it could also leave him open to being on the wrong end of a ground scramble. The saying is as old and cliche as it is largely true: Good things come to those who wait. That’s the hope for the WSOF brass when it comes to Caros Fodor. 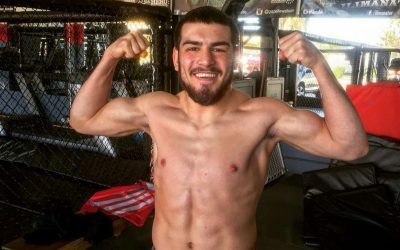 The less flamboyant of the Fodor brothers, Caros came into the promotion and the 155-pound division at a time before a lot of things changed. Most notably, the division. Fodor was set to debut against Jason High in November. It was a fight on the same night as the eight-man tournament. 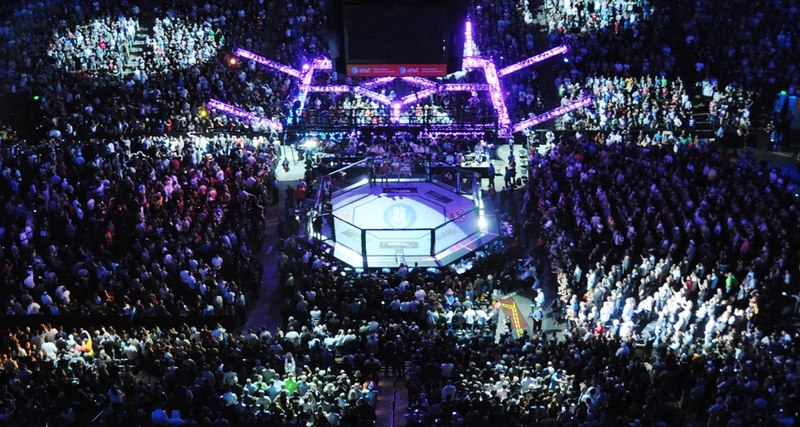 The fight didn’t happen, but High still competed and the tourney went on as scheduled. 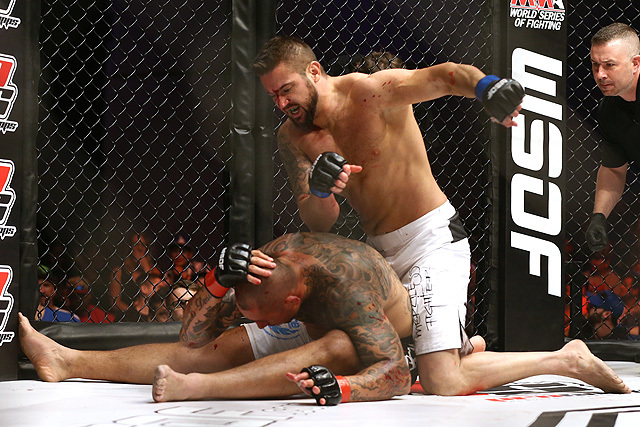 High looked good, Brian Foster earned a title shot and João Zeferino really impressed. 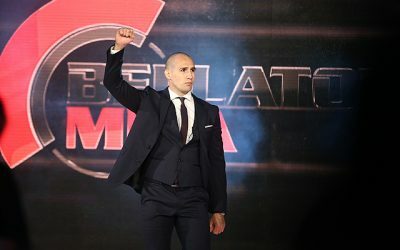 Combine all of these developments with an impressive showing by Ozzy Dugulubgov and it’s not hard to see how a guy who maybe was fighting High for the next shot at the belt is now a guy who has sort of been forgotten in the eyes of the public and the promotion. Fodor is a guy who is right on the cusp of the top five in terms of his skills. He’s a calm fighter who can find a home for his strikes and has good balance on the ground. The thing that stands out is how available Fodor makes his head to strikes. 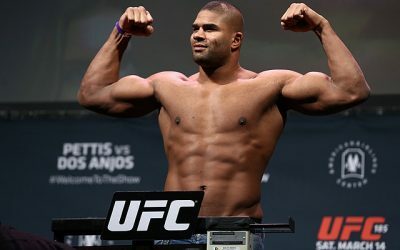 This is something he needs to clean up if he wants to have any hope against the top fighters in the weight class. 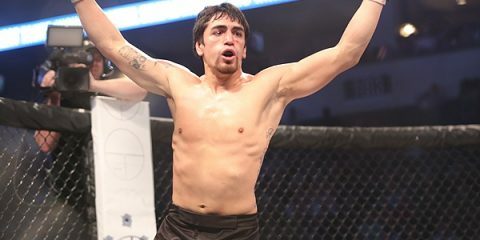 Luiz Firmino may not be the same higher profile name as High or Fodor’s original WSOF opponent Mike Ricci, but “Buscape” is a legit guy. He’s looking to be aggressive, close the distance, take his opponent down and never let up. He was referred to as “The Flea” on season 21 of The Ultimate Fighter for his propensity to get on an opponent and never get off. It’s exactly what he did against Uros Jurisic on the show. He took Jurisic down and that was that. Firmino grinded out Jurisic for a victory. He did the same with Tyson Griffin, although Griffin was a little more game. Buscape is willing to take punishment to inflict it. He is perpetually seeking the takedown, too. Firmino’s openness to get hit may be Fodor’s chance in this one. He will have openings on the outside and the best course of action may be to keep distance. The bad news may be that Firmino is capable of fighting a fight that Fodor wants nothing to do with. The Brazilian can be high paced, throw big haymakers and make excellent level changes. Firmino will push the action and control the level. Fodor may find something within this approach to exploit, but probably not. He’ll spend the fight reacting to Firmino and remain on his heels a lot. Fodor’s long-term prospects are looking up, which makes this a tough and counterintuitive prediction: Firmino by decision. This card is billed as “Future Champs,” and these two men may be fit the bill. It’s early, though. Really early. However, they have shown some things that could maybe evolve into something substantial. Let’s start with Jaleel Willis. He is very clear about what he is looking to do in the cage. He’s going to close the distance, work a takedown and try to pound his opponent out from top position. He has the skills and athleticism to do it, too. Willis has a wrestling background, and that’s where his comfort lies. He’s a tough guy and serious as it comes before the fight starts. He’s got some personality as well, as a post-fight “Carlton” shows. He’s a guy the WSOF can market if his skills continue to evolve. Chauncey Foxworth has some finishes from top position as well. He seems to like to stand and throw with an ability to whip a high kick up around his opponent’s ear as easily as throwing out a jab. He has really solid takedown defense that has allowed him to strike when he wants… so far, at least. The main sentiment here is that fans should really be excited for this fight. Both guys are feeling good about themselves — with good reason — and they seem ready to move to the next level of their careers. They are appearing on this card based on a relationship with V3, but that doesn’t mean one or both of them can’t turn this into a full-time gig with the promotion. This is a huge opportunity for these two guys. Willis will be able to avoid real trouble on the feet, even though Foxworth has the better stand-up. Willis will close the gap and finish on the floor or grind out a decision. Keep an eye on both of these guys moving forward. Bryce Mitchell and Jorge Medina combine for a match-up between stud grapplers. Each man is looking to control the level and establish a dominant position to work for a submission. Mitchell seems to have the juice behind him right now, but Medina is a game fighter. Mitchell is a bright kid. That’s not breaking news. We learned from WSOF President Ray Sefo’s Executive Action that he is a double major in political science and economics. That’s not the thing that makes him bright, though. Instead, it’s the fact that he used his off time to tour and train at high-level gyms. That’s impressive. It shows a dedication to the sport and a willingness to put forth effort to find the skills he needs. And he has them. Mitchell is slick on the ground, and that’s where he wants this fight to be. Medina’s patience and efficiency really stand out. There is not a lot of wasted movement in his game. He picks his shots carefully and makes them count. This can lead to some slow moments in his fights, but he does look to move the action along. He also sees strikes very well and is usually ahead of them. Sometimes, a commonality between two fighters means it gets thrown out the window. For example, two strikers will grapple. Or two grapplers will strike. This could maybe happen here, but it won’t. 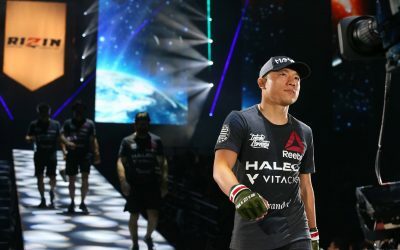 It’s going to be a very technical grappling match that may bore fans — not because it’s actually boring, but because that’s how fans will view it. Here’s a challenge to the fans: Watch this fight in an effort to take some time to learn the ground game. The WSOF has some of the best minds in MMA calling its fights, so stay plugged in mentally to this one and you might learn something. The pick is Mitchell. He’s a little more technical. Medina lasts the whole fight, though, and Mitchell gets a decision win.